The province of British Columbia maintains up-to-date information regarding their graduated motorcycle licensing online. 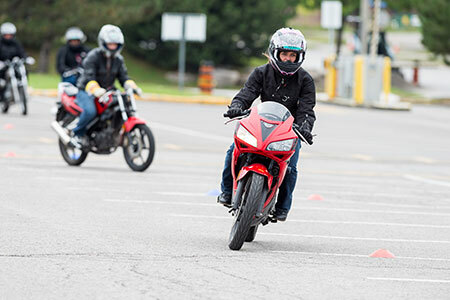 You can get information regarding British Columbia’s Graduated Motorcycle Licensing from the province’s website by following this link. The province of Alberta has information about Alberta Graduated Motorcycle Licensing at www.servicealberta.gov.ab.ca/drivers-licence.cfm . Transportation Alberta also offers downloadable drivers guides at www.transportation.alberta.ca/531.htm . The province of Saskatchewan has published some details relating to ther Graduated Licensing regulations online. Please visit the website of the province of Saskatchewan. If you have any questions with regards to the Graduated Driver’s Licensing Program please call SGI toll free at 1-800-667-9868. Manitoba’s Graduated Licensing Requirements for Motorcyclists are located online at the province’s website. You can obtain Graduated Licensing Information for the province of Manitoba by following this link to the province of Manitoba’s website. The province of Ontario maintains information about Graduated Licensing online via their website. Ontario’s Graduated Licensing Information is available online via their website. The province of Quebec maintains a webste where you can learn about Graduated Licensing and motorcycles. Quebec’s graduated licensing information is available via their website. The province of New Brunswick has prepared an english version of its Driver’s Handbook, available for quick download in the PDF document format. 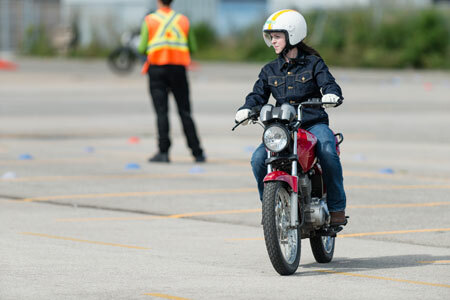 This handbook describes all levels of graduated motorcycle licensing in New Brunswick and tells you how to begin the licensing process as a perspective motorcyclist. The manual is available for convenient download here. Information for the province of Nova Scotia’s Graduated Licensing program is available online via the Service Nova Scotia website. The province of Newfoundland runs an informative and publicly accessable website where they are pleased to provide you with up-to-date information about their motorcycle Graduated Licensing regulations. The province of Prince Edward Island runs the infoPEI website where they are pleased to provide you with up-to-date information on their motorcycle Graduated Licensing regulations. Please visit the InfoPEI Website. The province of the Northwest Territories runs an informative and publicly accessable website where they are pleased to provide you with up-to-date information on their motorcycle Graduated Licensing regulations. For more information about Graduated Licensing in the Northwest Territories please visit their website. Nunavut does not have a graduated licensing program. For information about general driver’s licensing please click here.